What's the deal with the Sportsplex going into downtown Spokane — and who's paying for it? Eric Sawyer, president and CEO of the Spokane Sports Commission, hopes a new Sportsplex will attract national events to Spokane. 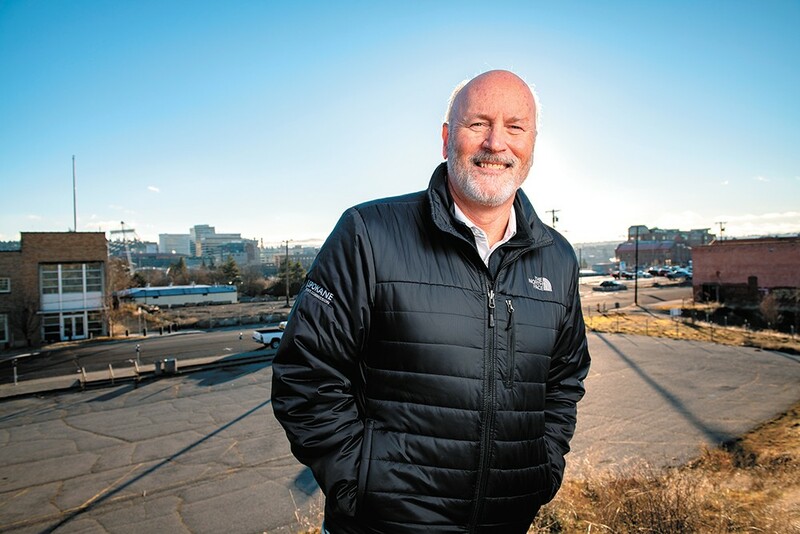 As president of the Spokane Sports Commission, Eric Sawyer understands Spokane's place in the world of sports. Spokane will never host a Super Bowl, he admits. But Hoopfest, the largest 3-on-3 basketball tournament in the world? That's the kind of thing Spokane can do as well as anyone. And sure, we probably won't ever be chosen to host the NCAA Final Four. But the first and second rounds of the NCAA tournament? We can sell as many tickets as any other city, Sawyer says. Still, the Sports Commission feels Spokane could be an even greater hub for sports. Years ago, it came up with a way the city could become that. 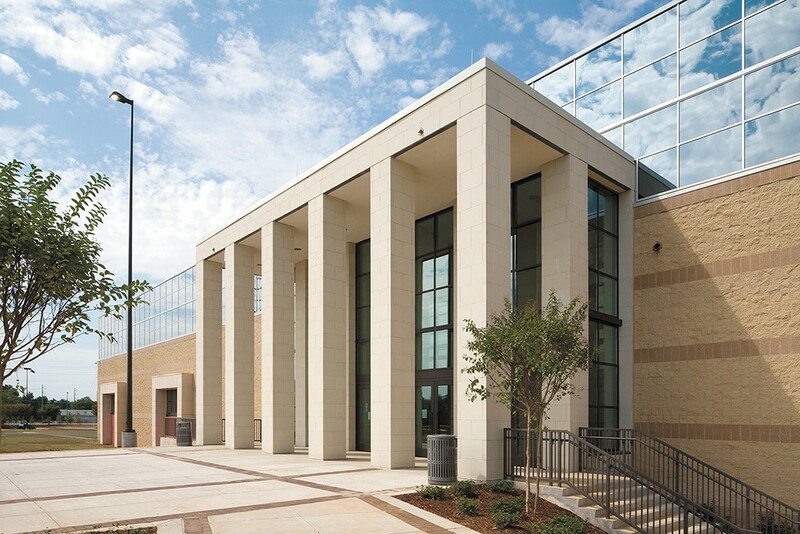 The concept was for a Sportsplex, a large, multipurpose facility that could host sporting events of all kinds — volleyball, basketball, wrestling, even track and field. Now, the idea for the Sportsplex is leaping over its final hurdles on the way to becoming reality. The bulk of the funding for the Sportsplex — to be located downtown by the Spokane Arena — has been approved and the city of Spokane agreed to kick in an extra $5 million last week. Construction should start sometime this year. For Sawyer, it's a huge win and a chance for the city to transform a mostly unused piece of land into something that will attract economic development. "It's a game changer," Sawyer says. Yet many people, he realizes, are confused about who's paying for it. The funding for the roughly $43 million Sportsplex came without a public vote. Adding to the confusion, it happens to be right next to the place where voters just rejected a downtown football stadium. The Sportsplex — or something like it — had been talked about on and off for 10 to 15 years, says Stephanie Curran, CEO for Spokane's Public Facilities District (PFD). "The problem has always been financing," Curran says. In years past, it seemed inevitable that in order to pay for a new Sportsplex, voters would have to approve a hike in taxes, says Rick Romero, a consultant with the city of Spokane who's been involved with the Sportsplex project. "It was always envisioned that the Sportsplex would be funded by asking for a bond," says Romero. It would have been similar to how voters approved a bond for schools and libraries last year. But Romero says the city and the PFD started looking at other ways to pay for the Sportsplex, thinking a public vote might not be the way to go. Then, in 2017, the state extended a sales tax rebate for PFDs in Washington. Spokane's PFD manages the Spokane Arena, the Convention Center and the First Interstate Center for the Arts. It will manage the Sportsplex, too. The state allows PFDs to impose a 0.033 percent sales tax to pay for regional centers that, if not used by the PFD, would be money that goes back to the state. By extending it, the PFD will get tens of millions of dollars for local projects. Spokane County will give the PFD $25 million for the project initially, raising the money by selling bonds to local investors. The PFD will then pay the county back using that sales tax rebate. That makes up the bulk of the funding. Then, around $10 million will come from PFD reserve funds, and the PFD will ask the state for a $3 million capital request this legislative session, Curran says. The city chipped in $5 million more, coming from its Real Estate Excise Tax fund that can be only used for capital projects. The agreement last week was telegraphed in 2017, when the city adopted a long-term plan that supported the Sportsplex. But not all of the current City Council members support that decision. Kate Burke, who wasn't on the council in 2017, says she would like to see the $5 million contribution from the city go towards anything else, like a new roof for the Martin Luther King Jr. Family Outreach Center. She voted against the money going toward the Sportsplex, but was outnumbered 6-1. "I am absolutely 100 percent against it," Burke says. Burke doesn't like the idea of giving a nonelected board like the PFD public money for facilities that they then turn around and charge citizens money to use. There are other capital projects that could benefit the public, she says. "It's not a good use of public dollars because it's not for the public good," she says. The Sportsplex in Spokane will be modeled after the CrossPlex in Birmingham, Alabama. Sawyer argues that all citizens of Spokane can benefit in one way or another from the Sportsplex. What will separate the facility from others is the 200-meter, six-lane hydraulic banked track than can be deployed by pressing a button on the wall. There are only nine such tracks on the West Coast, but there's a need for more, Sawyer says. By building one, Sawyer thinks track athletes from all around the country will want to come to Spokane for professional track events. Other cities are looking to build a similar facility with that kind of track, but Sawyer says Spokane is "ahead of the wave" with the upcoming Sportsplex construction. But that's not the only reason Spokane stands out from others — the management of the PFD is important too, he says. The NCAA doesn't bring back college basketball every year because the Spokane Arena is so great, he says. It's because of the strong management. "The old story of 'You build it and they will come' is a myth," he says. "You can have the greatest venue on the planet and if they don't operate it appropriately, it will fail ... we'll have a great venue and an incredible team behind these events." Between major events, the Sportsplex will likely be used by the city's parks department to run local sports leagues, like an adult volleyball league. Plans call for the Sportsplex to fit up to 17 volleyball courts, up to 10 basketball courts, or 21 wrestling mats, plus an NHL-sized ice sheet if needed. "It will be a great facility for the local athletes to grow their skill sets but at the same time expose them to professional events," Sawyer says. He argues it will benefit the economy, too, touting a Gonzaga University study saying the Sportsplex could bring more than $1 million in tax revenues to the area per year as it attracts thousands of people to Spokane where they will stay in hotels, eat at local restaurants and shop in the stores. Burke thinks those benefits are exaggerated, since some of that tax revenue is from the lodging tax that goes back into other promotions to attract tourism to the area. "That doesn't really help us," Burke says. Other elected local officials disagree. Spokane County Commissioner Al French says the Sportsplex will benefit the local economy and help liven downtown. An earlier version of this story said the SPokane Public Facilities District managed the INB Performing Arts Center. The INB was renamed the First Interstate Center for the Arts in November. The original print version of this article was headlined "'Game Changer'"